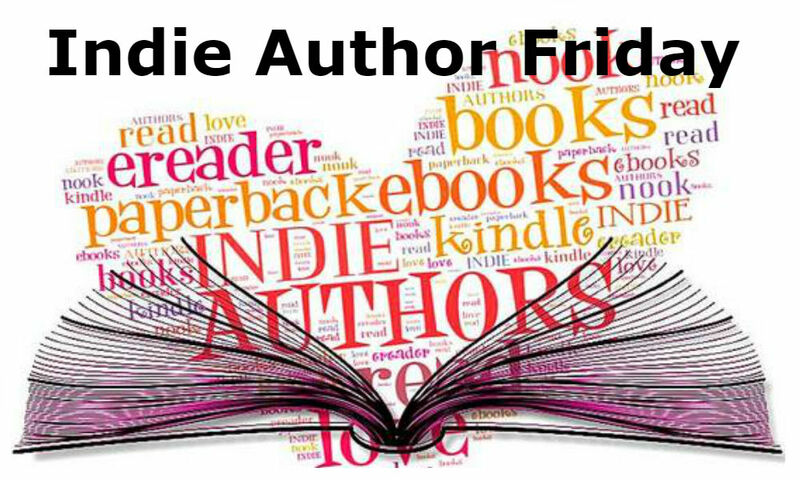 Sarah Zama is the featured indie author today, with her dieselpunk novella, Give In To The Feeling. She offers both excellent advice and motivation to writers hoping to be published – and I like her taste in cereal. It’s fun to mix it up – keeps things interesting. Welcome, Sarah! Susie has never thought she might want more. More than being Simon’s woman. More than the lush life he’s given her when she came from China. More than the carefree nights of dance in his speakeasy. Simon has never asked her anything in return but her loyalty. Not a big price. When Blood enters Simon’s speakeasy, and Susie dances with him, she discovers there’s a completely new world beyond the things she owns and the things she’s allowed to do. A world where she can be her own woman, where she can be the woman she’s supposed to be. A world of sharing and self-expression she has never glimpsed. But she’s still Simon’s woman, and he won’t allow her to forget it. Soon Susie will discover there’s more than two men fighting over her in the confrontation between Blood and Simon. There’s a fight breaking through the wall of the real world, into the spirit world where Susie’s freedom may mean life or death for one of them. And if Susie gives in, she will lose more than just her heart and happiness. What’s the most constructive criticism you’ve been given in your writing career? That comment really struck me, not only in regard to my dialogue. It made me consider hard what I need in my writing, and what I only think I need. Was I using more words than needed even in other areas? Yes, I was. That comment on my dialogue tags made me asset my style and reconsider some of the things I had taken for granted up to that point. It helped me to find my voice. What do you wish you’d known before you were published? I wish I’d known that studying and getting prepared is not enough. You need to try, and try and try, until you find the way that works for you. I did know that every author is different and there’s no set method of success but (a bit naively) I thought that if I did my homework and followed what experts and more experienced authors advised to do, I’d be all set. It didn’t work that way. That’s how I learned that even if you do exactly what others have done successfully, you still have high chances to fail. You are not them. Your book is not theirs. Your readership is not theirs. The time you publish your book is not the same and in today’s publishing world things change at a mind-blowing speed. Even if you think you’ve gotten the gist of it, even if you think this or that makes a lot a sense so you should be doing it, you still have to try it yourself and be prepared to fail. And also be prepared to start all over again, until you find the way it works for you. It is disheartening, I know. It insinuates lots of doubts about yourself, your story, your ability to act on information, even your ability to learn. But knowing that this is how it works helps. We are not failures. There is a way that will work for us. We just have to hang in it long enough to find it out. Ah, that’s pretty easy. Justin Brailsfield. He appears in the trilogy I’m still working on, not in the novella I’ve published. He’s the antagonist. A self-centred, opinionated young man who relies a lot on stereotypes. He thinks everyone is to be blame for his misfortunes – anyone but himself – and he tends to be jalousie of everybody else’s success, even his brother’s. But I have to say, he has redeeming traits too, if he needs to be under huge stress to let his qualities surface. In fact, in spite of him being the antagonist, I love him just as much as I do all my other characters. What’s your favorite kind of cookie and why? Ginger cookies. I have a soft spot for sweets that are also spicy (I love dark chocolate with chili). Besides, ginger, with its lemony taste, is one of my favourite spices. If you were a box of cereal, which one would you be? The kind with many colours and flavours. Corn flakes, chocolate chips, nuts, maybe corn flakes coated in chocolate. I like crunchy and I like to be surprised. If you could be any character in fiction, who would you be? Thomas Builds-the-Fire, one of Sherman Alexie’s recurring characters. Thomas is a very good-hearted guy, he always tries to do his best, even when he makes a great mess of it. He’s a bit naïve too and people make fun of him for this. But he doesn’t mind, because he thinks people are good overall and that’s what counts. He is very attached to traditions, he still lives and respects them even if he does live in a modern world that doesn’t really get along with traditions and values. He’s kind of an outcast, that’s true. And he knows it, but he doesn’t mind, because he is the person he wants to be. Since 2010 she’s been working at a trilogy set in Chicago in 1926, historically as accurate as possible but also (as all her stories are) definitely fantasy. She’s currently seeking representation for the first book in the Ghost Trilogy, Ghostly Smell Around. In 2016, her first book comes out, Give in to the Feeling. 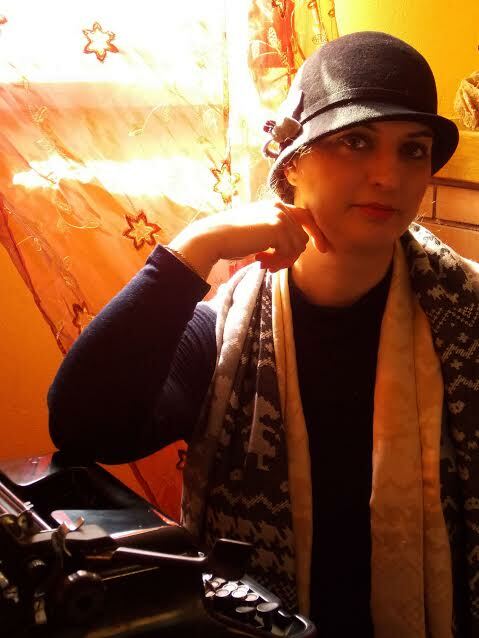 She’s worked for QuiEdit, publisher and bookseller in Verona, for over ten years. She maintains a blog, The Old Shelter, where she regularly blogs about the Roaring Twenties and anything dieselpunk. That is some of the best writing advice (under what did you wish you knew before you were published) that I have ever heard! You’re very welcome, Sarah – excited to have you here! Nice interview with helpful advice. I’m very interested in the book, too. Thanks for posting. Thanks, P.C.! Sorry I’m so late replying – never got this notification. Glad you enjoyed it. It happens to me all the time! Glad you saw my comment!